public awareness and communications program that effectively represents and benefits the New Mexico State Library and libraries in New Mexico. 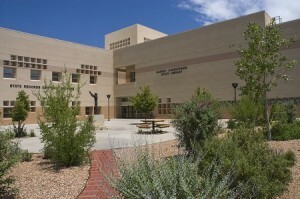 The Public Relations Specialist manages a program of dynamic projects and creative approaches to ensure that libraries, elected officials, and the public know about, make use of, and value the important initiatives of the NM State Library and public libraries, which provide citizens with access to information. This position oversees an educational program to train and offer assistance to local public libraries and their partners to meet their public awareness and marketing goals. In addition this position trains NM State Library staff on website and public awareness activities. The Public Relations Specialist develops the public awareness/marketing in conjunction with the State Librarian and the Bureau Chief in the Library Development Bureau. Click here to apply for this job posting. Looking for YS Titles to Add to Your Collection?